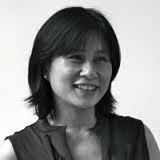 GC Immigration Working Group: Margaret Chin, Ph.D.
Margaret Chin is currently a Professor of Sociology at Hunter College, CUNY. Chin received her BA in Applied Mathematics from Harvard University and her MA and PhD in Sociology from Columbia University. Her research interests focus on new immigrants, working poor families, race and ethnicity, and Asian Americans. While on sabbatical, she will be working on a number of projects. They include a book manuscript on how Asian ethnic media is used by first and second generation Asians and Asian Americans; a comparative chapter on differences and similarities among Brooklyn’s Chinatown, Flushing’s Asiantown and Manhattan’s Chinatown; and a paper how young student parents balance parenting and school. Professor Chin uses qualitative and comparative methods in her research. Professor Chin was a Social Science Research Council Post Doctoral Fellow in International Migration, a Woodrow Wilson National Fellowship Foundation Junior Faculty Career Grant Recipient and a Gender Equity Project Associate. She has taught The Sociology of the Family, The Second Generation Experience of Asians, Latinos and Blacks, the Graduate Social Research course in qualitative research methods, and a CUNY Honors College Seminar – The Peopling of New York. Sewing Women: Immigrants and the New York City Garment Industry (Columbia University Press, 2005).